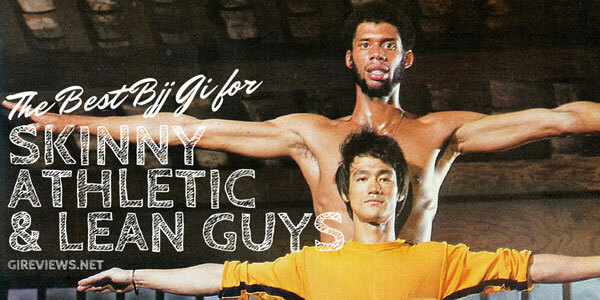 What is the best BJJ gi for short, stocky, or muscular grapplers? Looking for a specific gi review? Check out our reviews here. Every day people are posting their height and weight into internet forums and asking what type of gi will fit them the best. Lots of people answer but there’s never been one article that puts all of the answers together. Until now. In another recent article, we discussed the best gis for skinnier and leaner guys. In this article, we’ll discuss the best gis for the big guys. But wait, there is hope. In fact, there’s a lot of hope. Here’s a two gis that are sure to fit you. 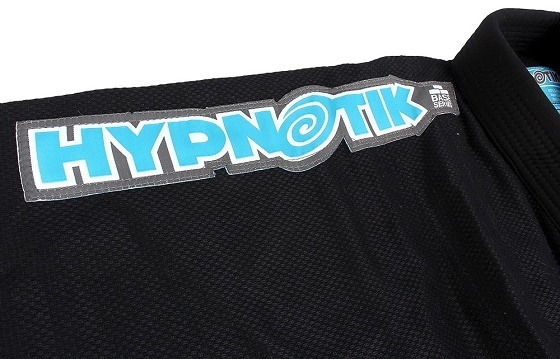 Inverted also offers an awesome A2H gi that’s perfect for big guys! Check it out here. 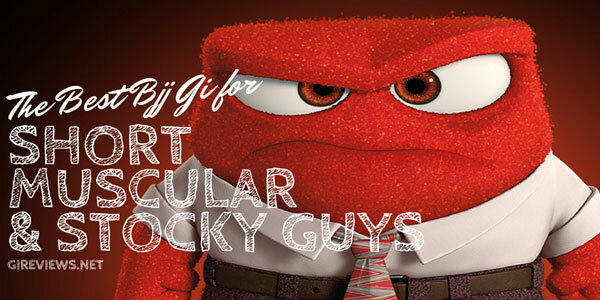 Click here to check out Da Firma’s gis for bigger guys! Next are two mainstream gis that get a lot of attention for fitting stout people as well as (sometimes) skinnier people. These are Koral and Atama (sometimes Padilla and Sons is mentioned in this vein as well). Typically, Atama has a longer skirt, which will favor guys with a bigger belly and will keep their lapel tucked into their belt whereas a smaller skirted gi will not. Next is, again, Shoyoroll. Shoyoroll offers the size A2H (A2 Heavy) which fits guys between 5’8″ – 6’0″ and 220-250lbs. They are a great option, but as stated in the first half of this series, they are often disregarded due to limited availability and a long wait time after ordering. Still, the A2Hs are a good option for bigger guys and there are Shoyoroll gi reviews on this site for the Yank and White Mamba and reviews are forthcoming for the Yin, Yang, Compadre, and Americana. Last is, surprise, Gorilla Fight Gear’s Big Guy’s Silverback Platinum Wave BJJ Gi. Unlike just the A2H offered by Shoyoroll, Gorilla Fight Gear’s Big Guy gi offers a wide range of sizes for the big guys (like me). 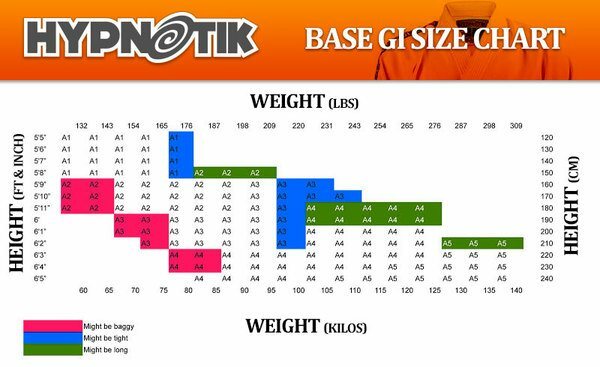 So if you’re anywhere from 5’5” and 180 to 6’4” and 320+ lbs, see the chart below to figure out where you fit into their sizing. 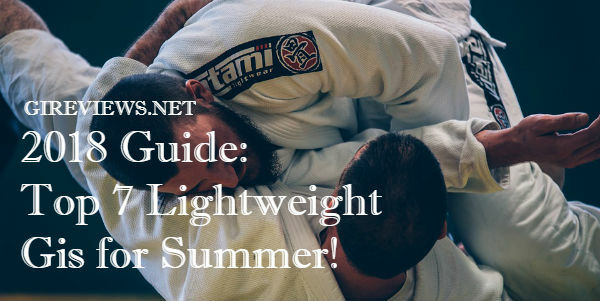 Also, these big gis come with a rashguard liner on the inside and “roomier in the shoulders, chest torso, and hips and thighs to allow you the freedom to move unrestricted like a big cat.” (quoted from their website. Hilarious.). Here’s their beefy gi underneath their regular gi of the same size (both are A3s). Looking for a specific gi review? Check out our reviews here. Don’t see it on there? Let us know! 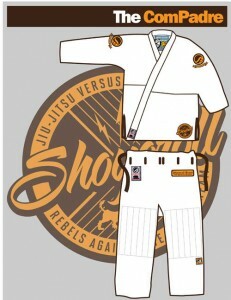 BJJ Globetrotters’ New Travel Gi: New Much of a Good Thing? Kingz. I tend to suffer from the “gi always coming open around the midsection because there isn’t enough material for my belly” syndrome in all of my A2 gis. The Kingz A2H solves that problem perfectly! I use the Ripstop version — very light and breathable too. Just wanted to let you know we’ve gone even bigger with the Rick Ross gis LOL. So we have a new labling system with our new sizes. Our old A5XX is the same as our current B-3XL. So now our sizing for big dudes runs from B-2XL up to B-5XL. We did forget the little guys on the last batch and plan to bring in a B-XL in the next few months. Thanks so much for the update Mike! Will you have full stock on all the big guys by summer? We are constantly in and out of stock, however we now expanded our big sizes to all our models and 3 out of 5 models are currently stocked up. 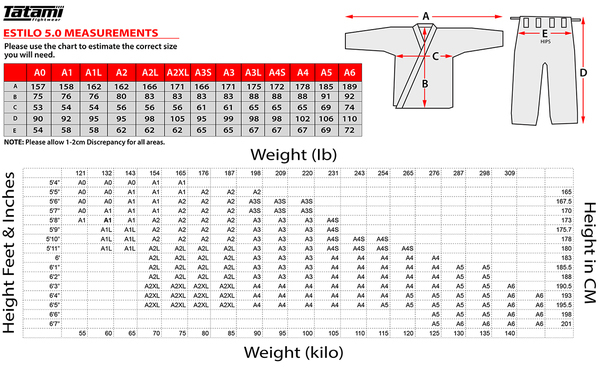 We will soon have B3XL up to B5XL in rashguards and mma shorts. i’m starting to really lean my business model to this smaller market. 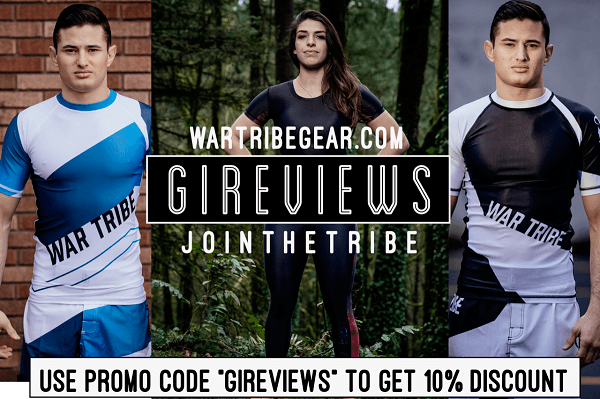 Ladies face other issues finding a good fitting gi. Personally, the fit of the pants is usually all wrong. The people designing women gi’s doesn’t seem to consider the average female body type. Many of us have short legs (compared to men) and fuller thighs and bottoms. This means that if the pants fit over the thighs, they’re to long and way to big at the waist. And I’ve heard many women saying that they need to use tights underneath since there’s not enough material to cover the bottom in many grappling situations (myself included). Flashing people isn’t always a good thing. Best gi so far is, no surprise, Fenom. They have a curvy option that is the best fitting I’ve found so far and I’ve tried several brands. Thanks for mentioning this! I too have had the same exact problem. There needs to be about 2 more inches of height in the back to cover everything. I’l check out Fenom. Hey Ced! I think for you, the best bet would be to get something custom made from a company like Killer Bee. They do great work! If you have a big chest 58″ then killerbee will not fit. What’s happen to the short people who are short and stocky like an A0h. Only gi company I know who carry these are shoyoroll, And any one who affiliates with them like AP, illest, and cukui. Another great company who makes that size for a lot cheaper is 93brand. What’s your height and weight? I think some other companies might make those gis, like Do or Die? I’m 5’4″ and weigh 165. I’m stocky. Tried a bunch of A1 and they fit tight in the armpit area. I only have one gi that is a A1 that fits me perfect and it’s the keiko Japan. All the other ones are tight. 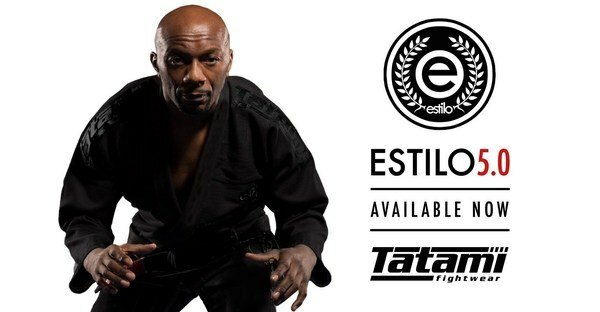 I’ve just ordered a Tatami Nova + Plus in A5 as my very first BJJ gi. I’m 6’1″ and just shy of 130kg. I received great feedback from the crew at Tatami, I’m hoping the A5 will be big enough on e to survive the expected shrinkage (me AND the gi!). I can’t really afford the Estelle, but If I have to I will upgrade using their -reportedly excellent- returns and exchange policy. Howdy, so on the first two on the list, other than name, there is no “reason” why we should go with those? Also, would you say the same that applies to estilo 5 applies to 6? Thanks bro.